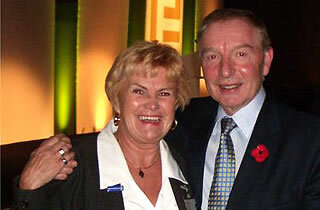 Sadie meets Sir Tom Farmer, Mr Kwik Fit. 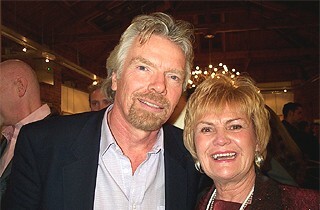 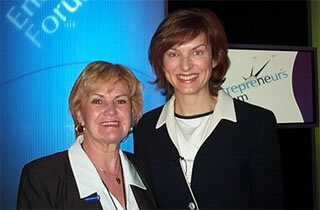 Sadie and Richard Branson at the launch of The Entrepreneurs Forum in Newcastle. 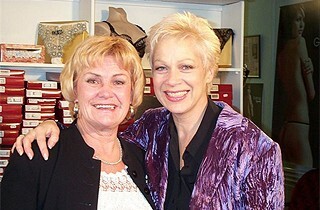 Sadie and Lisa Tarbuck during filming for Channel 4's 'She's Gotta Have It' in April 1999. 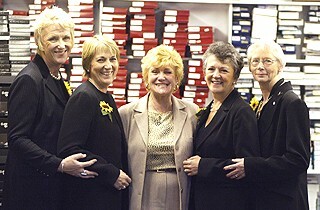 Sadie with The Calendar Girls - Trish, Angela, Chris and Beryl when they came to Consett shop to film BBC TV programme "Inside Out" shown Jan 2004. 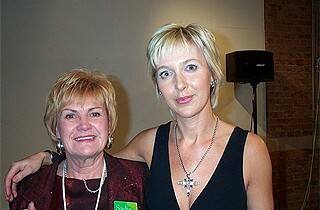 With Denise Welsh in January 2002 during filming for Tyne Tees Television's "Call Dr. Jane" programme. 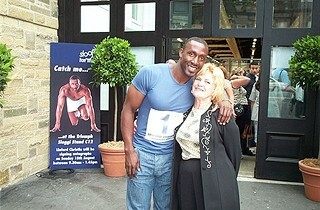 Linford Christie opened the Lingerie Exhibition at Harrogate Aug 2001. 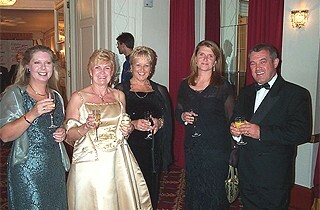 Sadie at the champagne reception Cafe Royale for Women Mean Business awards. 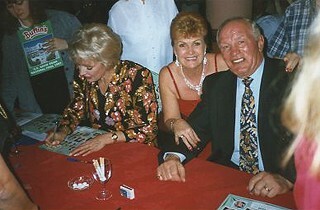 Met Henry Cooper and The Green Goddess when she was finalist in the Glamorous Grandmother Competition run by The Grand Hotel Group in 2001. 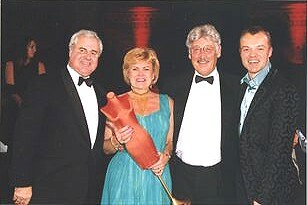 Sadie with Graham Norton at the Drapers Record awards dinner at the Natural History Museum in London where she won Lingerie Retailer of the Year 2000. 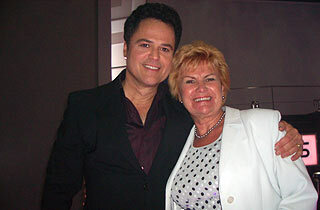 Sadie with Donny Osmond. 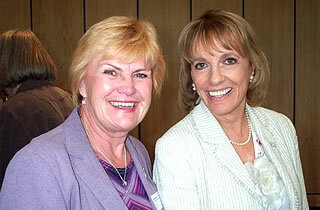 BBC2 'Identities' programme. 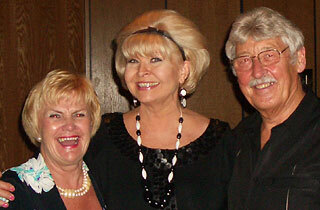 Sadie & Tom with Kathy Secker BBC radio Newcastle. 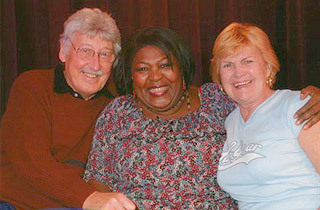 Sadie & Tom met Rustie Lee, Celebrity Chef on a cruise.